$2, 000 Credit toward the Buyer's Closing Costs! Recently Renovated! If you've been looking for your own Farmhouse Style Home to make your own, this is it. 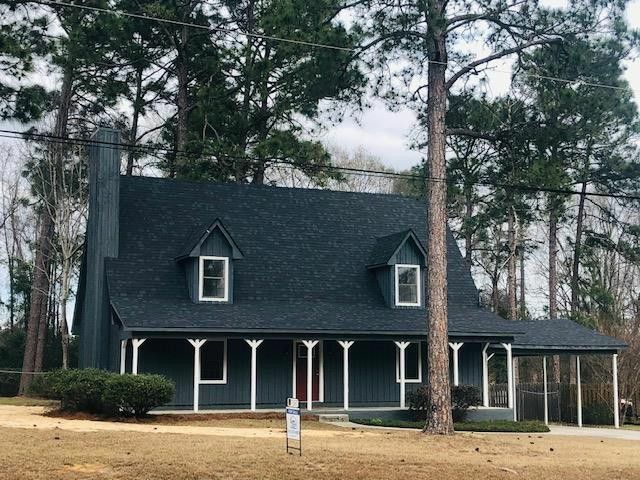 Farm House style conveniently located to Vidalia and Lyons with fenced back yard and plenty of room to make this one yours. Spacious floor plan with tons of potential. Master Bedroom is on the first floor with 2 large bedrooms upstairs. It features a cozy den with fireplace and an eat in kitchen as well as a large room that can be used as a dining room, 2nd living area or playroom. All the hard work's been done: New Roof, New Stainless Appliances, New Paint, New Flooring, too much to list. Let me show you your new home . Owner is including a 1 year Home Warranty. Call Tammie Gibbs at 912-293-2899 today before someone else snatches this one up.